Slowly heat the lobster soup in a medium-sized pan on low heat. 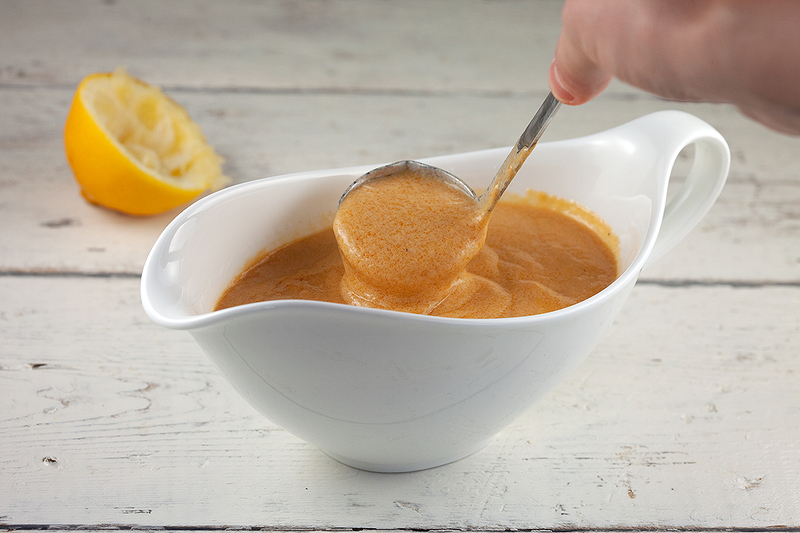 Squeeze the juice from a lemon and add it to the lobster soup. 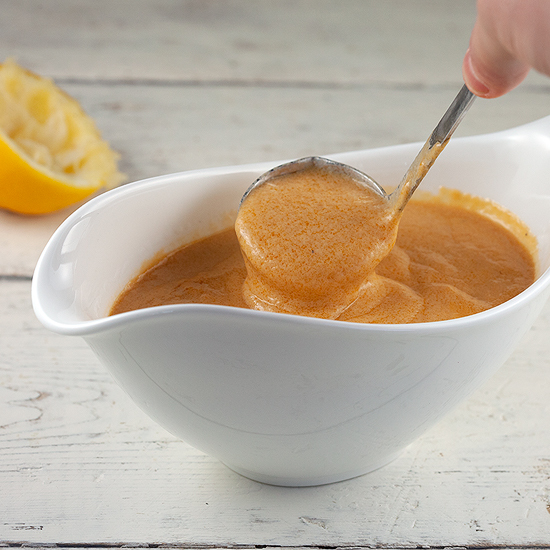 Divide the butter into cubes and add them little by little to the lobster soup and keep on stirring. 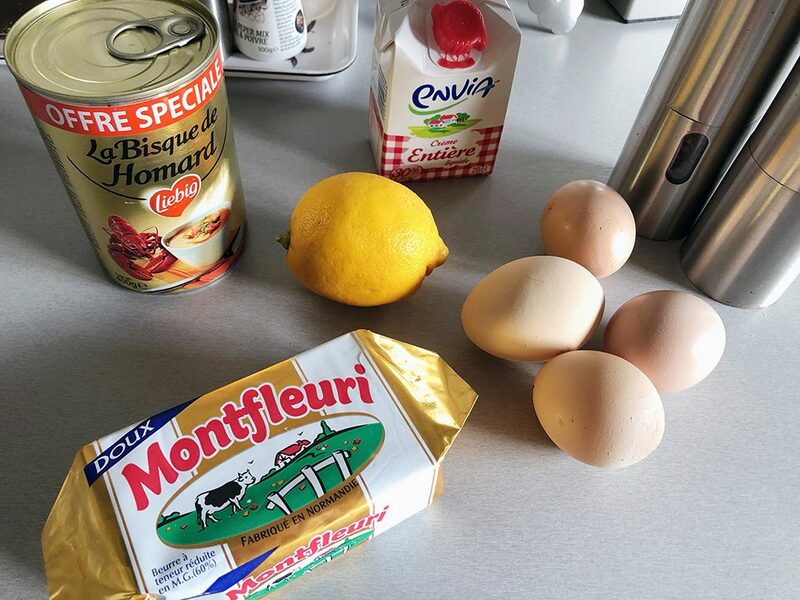 Meanwhile combine egg yolks and cream in a bowl, now you’ve created a liaison, a thickening agent. Pour the mixture slowly into the warm lobster soup and keep on stirring to prevent it from burning. Slowly heat it some more and you’ll notice the soup will become thicker. Let it cook some more until you’ve reached the desired thickness and season with pepper and salt. 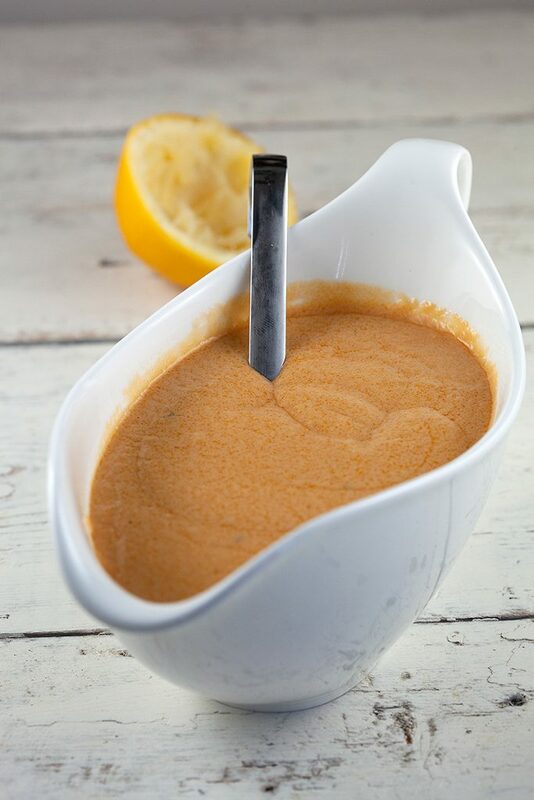 You can serve this amazing sauce with all kinds of fish or use as a pasta sauce. Enjoy!